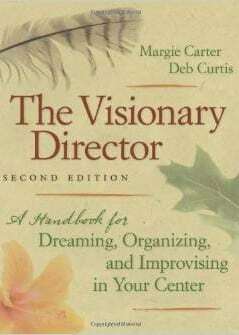 “The Visionary Director” is the first book we recommend to early childhood leaders looking to build an intentional program. A beautifully written book examining the complexity of early childhood programs, this offers leaders deep insight, reflective protocols, and practical suggestions. There is little more to ask for in terms of a book for leaders. “The Visionary Director” was written specifically for early childhood educators but it’s content is widely applicable across most organizations that serve families and children. You’ll want to read with a notebook handy for some reflective writing! The vision should guide the decision making. Building a supportive community is critical to this work. The reflective protocols and examples are really helpful.